We have a New Genuine Rear Bumper Reflector RH Right Side fits LR2 and Range Rover L322 03-12. We also have the LH Left Side REFLECTOR Part# LR006349 Available! We are Rover people. 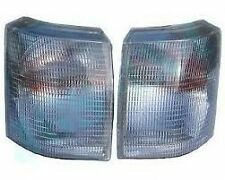 LAND ROVER RANGE ROVER P38 1995-2002 REAR INNER LAMP GUARD - LH / DRIVER SIDE. Rear inner left hand / driver side light guard. This fits the Range Rover P38. Protect Your Rear Lights And Add Style To Your Range Rover! 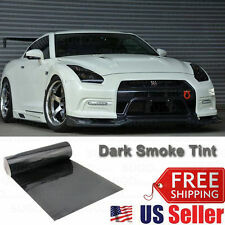 Front protective guard kit (pair) part number VPLSP0010. LAND ROVER RANGE ROVER SPORT 2010-2013. This will fit the RANGE ROVER SPORT 2010- 2013. Fits: RANGE ROVER SPORT | '10 - '13 |. 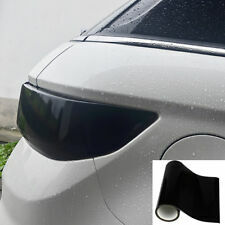 Front Headlamp protective guard kit (pair) part number VUB001070. LAND ROVER RANGE ROVER L322 2003-2005 FULL SIZE MODEL ONLY. This will fit the Range Rover L322 up to 2005 M62 4.4L ENGINE V8. Range Rover 4.4 (BMW Engine - L322 / MKIII) | '03 - '05 | For Vehicles Without BrushBar. We have a New Inner Fender Wheel Arch Left LH fits Range Rover Sport 06-13. We have a New Rear Bumper Reflector LH Left Side fits LR2 and Range Rover 03-12. 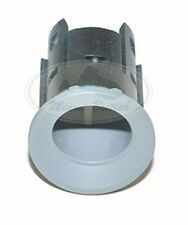 We also have the RH RIGHT SIDE REFLECTOR Part# LR006348 Available! We are Rover people. Need help?. Let's chat. Rims and Wheels. STC7607AA STC7609AA- BLACK. 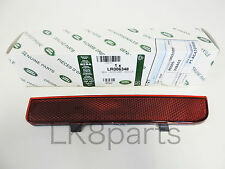 LAND ROVER RANGE ROVER P38 1995-2002 REAR INNER LAMP GUARD - RH / PASSENGER SIDE. Rear inner right hand / passenger side light guard. This fits the Range Rover P38. Protect Your Rear Lights And Add Style To Your Range Rover! 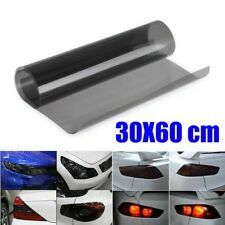 We have a New Genuine Rear Bumper Reflectors LH RH ( Driver Side and Passenger Side ) SET. Range Rover Full Size | '03 - '05. Range Rover Full Size | '06| For Vehicles Up Through VIN # 6A228986. Range Rover Full Size | '10 - On. Trending at $40.23eBay determines this price through a machine learned model of the product's sale prices within the last 90 days. We have a New Headlight Glass Lens Right RH& Left LH ( Glass Lens only) fits Range Rover L322 03-05. We are Rover people. We have a New Rear Bumper Reflector RH Right Side fits LR2 and Range Rover 03-12. We also have the LH LEFT SIDE REFLECTOR Part# LR006349 Available! We are Rover people. Need help?. Let's chat. Rims and Wheels. We have a New Right & Left Headlight Glass Lens and seal Pair Left Hand & Right Hand that Fits: Range Rover L322 03- 05. We are Rover people. Rear protective guard kit (pair) part number VPLTP0064. This will fit the RANGE ROVER SPORT 2010- 2013. LAND ROVER RANGE ROVER SPORT 2010-2013. Fits: RANGE ROVER SPORT| '10 - '13 |. We have a New Left Headlight Glass Lens and seal that Fits: Range Rover L322 03- 05. 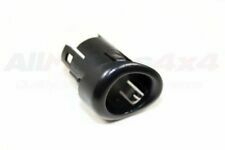 We also have for the Right Side PART# XBV000080 Available! We are Rover people. We have a New Headlight Glass Lens Left LH ( Glass Lens only) fits Range Rover L322 03-05. We also have for the other side. We are Rover people. LR4 /Discovery 4 2010-on. LR3 / Discovery 3 2005-2009. We have a New Genuine Rear Bumper Reflector LH Left Side. Part#XFF500030. We are Rover people. Range Rover Sport 2010-2013. Body and Chassis. Need help?. LAND ROVER RANGE ROVER SPORT L320 MODEL 2005-2009. FRONT LIGHT GUARDS - PAIR WITH FITTING INSTRUCTIONS AND ALL FIXINGS. Front protective guard kit (pair) part number VUB501930. This will fit the Range Rover Sport up to 2009. We have a New Right Headlight Glass Lens and seal that Fits: Range Rover L322 03- 05. 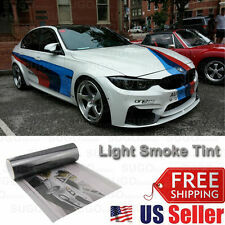 We also have the Left Headlight Glass Lens PART# XBV000090 Available! We are Rover people. PART# VUB503800LML. Range Rover 03 - 09. Range Rover Sport 2010-2013 . Take a good look at this picture. Here you go. The guards are made of glass filled polypropylene and have all the appropriate circular apertures so they don't obstruct the clear path for your Xenon or high beams. Take a good look at this picture. If you've got one of these, arguably, best vehicles in the world consider making it look even tougher and more stylish by adding these smooth lamp guards. XBD100920 XBD100930. LAND ROVER RANGE ROVER P38 1995-2002. LAND ROVER RANGE ROVER P38 1995-2002 EXPANSION TANK CAP NEW OEM PART PCD000070. LAND ROVER RANGE ROVER P38 GRILLE BADGE GOLD ON GREEN - GENUINE DAG100330. Trending at $45.50eBay determines this price through a machine learned model of the product's sale prices within the last 90 days. GENUINE OEM RANGE ROVER SPORT REAR LAMP GUARDS. We are a Land Rover dealer in the USA. (PASSENGER SIDE) Part # DDC500440, DDC000022LML. Range Rover 03 - 12. RH - RIGHT SIDE. LAND ROVER RANGE ROVER SPORT 2010-2013. FRONT & REAR LIGHT GUARDS VEHICLE SET WITH FITTING INSTRUCTIONS AND ALL FIXINGS. This will fit the RANGE ROVER SPORT 2010- 2013. Fits: RANGE ROVER SPORT| '10 - '13 |. Part # ALR6310. TAIL GATE PUSH BUTTON SWITCH. PART NUMBER XCA500070. LAND ROVER BULB COVER LOW BEAM. FOR RANGE ROVER SPORT 2005 - 2009. RANGE ROVER 2006 - 2009. Land Rover or other logos and trademarks used on this site is for reference only. INTERNATIONAL DHL SERVICE AVAILABLE. Rear protective guard kit (pair) part number VUB501920. This will fit the Range Rover Sport up to 2009. LAND ROVER RANGE ROVER SPORT 2005-2009. REAR LAMP GUARDS - PAIR WITH FITTING INSTRUCTIONS AND ALL FIXINGS. 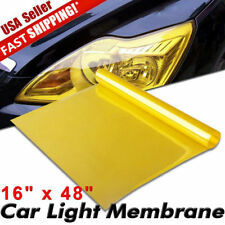 We have a New Headlight Glass Lens Left LH ( Glass Lens only) fits Range Rover L322 03-05. We also have for the other side. 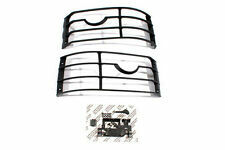 Front protective guard kit (pair) part number VUB501930. This will fit the Range Rover Sport up to 2009. Range Rover Sport | '2005 - '2009 |. MODELS FROM 2005 TO 2009 ONLY. Part # ALR6310. We have a New Tail Gate Push Button Switch. Range Rover 95 - 99 (XA430701). We are Rover people. NEW PART # XFP500020. LAND ROVER REAR LAMP SOCKET BALL. FOR RANGE ROVER 2003 TO 2009. Land Rover or other logos and trademarks used on this site is for reference only. INTERNATIONAL DHL SERVICE AVAILABLE. KIT PART# VUB503810LML. REAR Distance Sensor BEZEL. Range Rover 03 - 09. Includes Fitting Instructions and all Fixings required for installation. We are Rover people. We have a New Front Center Parking Sensor Bracket Bezel ( 1 pc ) fits Range Rover Sport 2006-2009. We are Rover people. Need help?. Let's chat. Rims and Wheels. Exterior Accessories. Engine Parts. Cooling System. 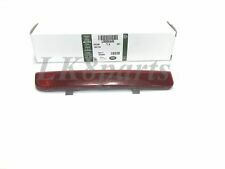 We have a New Front Fender Left Hand LH- driver side fits Range Rover 06-12. We are Rover people. Part # VTJ500120PMA. FRONT CENTER Distance Sensor BEZEL SET x2. We are Rover people. We have a New Genuine Front Left Distance Sensor Bezel. Fits: Range Rover Sport 2006-2009. Need help?. Let's chat. Rims and Wheels. Exterior Accessories. Engine Parts. Part No: XBD100920. Part No: XBD100930. LAND ROVER RANGE ROVER P38 1995-2002. RANGE ROVER 95-02 All 2000 - 2002 RH. RANGE ROVER 95-02 All 2000 - 2002 LH. IDEAL FOR UPGRADING EARLIER 1995-1999 MODELS ADD STYLE TO YOUR RANGE ROVER! Part # LR066922 . Range Rover Evoque. Front Fender OEM. RH - RIGHT (PASSENGER SIDE). We have a New Left Headlight Glass Lens and seal that Fits: Range Rover L322 03- 05. 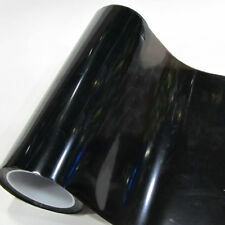 We also have for the Right Side PART# XBV000080 Available! WE HAVE 1 OF THEM AND THIS IS FOR THE REAR LEFT SENSOR. We have a New Front Center Parking Sensor Bracket Bezel SET ( 2 pcs) fits Range Rover Sport 06-09. We are Rover people.